Size varies between 6x4mm and 8x5mm. No two are exactly alike. 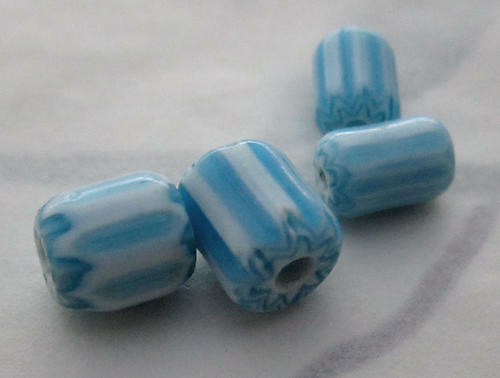 Glass turquoise blue striped chevron beads. New old stock. Jewelry supplies.